You are here: Home / Ethnic Groups / The People of Bali and Nusa Tenggara / Who are the Sasak? The Sasak make up the majority of the population of Lombok Island in West Nusa Tenggara province. They live throughout most of the island, but the most densely populated areas are the fertile rice fields south of the famous Mount Rinjani. In the past, anthropologists divided the Sasak into two groups: Waktu Lima and Waktu Telu. The Waktu Lima Sasak mostly live in the central plains, close to the roads and trade centers. The Sasak Waktu Telu tend to live in remote villages in the south and in the mountains. The Sasak language is similar to Balinese and Javanese. Many words have been borrowed from the Kawi language (Old Javanese). Sanskrit and Arabic can be seen in ancient writings on palmyra leaves known as takepan. Sasak society has two classes: the revered nobility and the lower class. For many years, Lombok was divided into many small, warring kingdoms. This ended when the armies from Bali subjugated them. In 1894 the Dutch freed them from Balinese control. Even now, there are many Sasak who don’t like the Balinese. For newcomers, the Sasak seem very unrefined, frightening and aggressive. 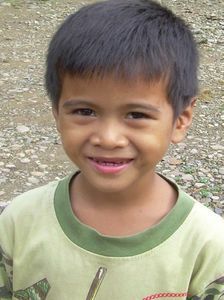 But once you get to know them, the Sasak are actually very friendly and open. Most Sasak are farmers, but there are also laborers, fishermen, and craftsmen. Weavings and pottery made by skilled workers can be found in several villages. Many of these are sold to tourists or even exported to Western countries. Many Sasak look for work in larger cities on Lombok, as well as other islands. Moral and ethical values are called tindih by the Sasak. They try to maintain values of good friendships and cultural forms of respect within the family, such as honoring their parents and acting politely when a guest. In looking for a wife, many Sasak follow the custom of eloping, where the woman voluntarily allows herself to be “kidnapped” and hidden away somewhere for a while. After this, the “kidnapper” contacts the woman’s family to negotiate the wedding terms, and then the wedding ceremony is held. Most Sasak are Muslims. Every year many Sasak travel far to complete the hajj—the journey to Mecca. Many of them have to save up money for years and years, or sell their land or car in order to pay for this trip. When they come back from Mecca they are highly honored by their families and neighbors for the rest of their lives. Many Sasak people still worship in sacred places, such as tombs of religious leaders or on Mount Rinjani. They also worship the spirits of the ancestors and spirits that live in the forest, mountains or rivers. Although the Sasak live on a beautiful island, they still live in poverty. They desperately need medical experts and health education, because of the very high rates of women who die in childbirth and child mortality. Besides this, the people could also benefit from training in tourism skills in order to develop the great tourism potential of their area.